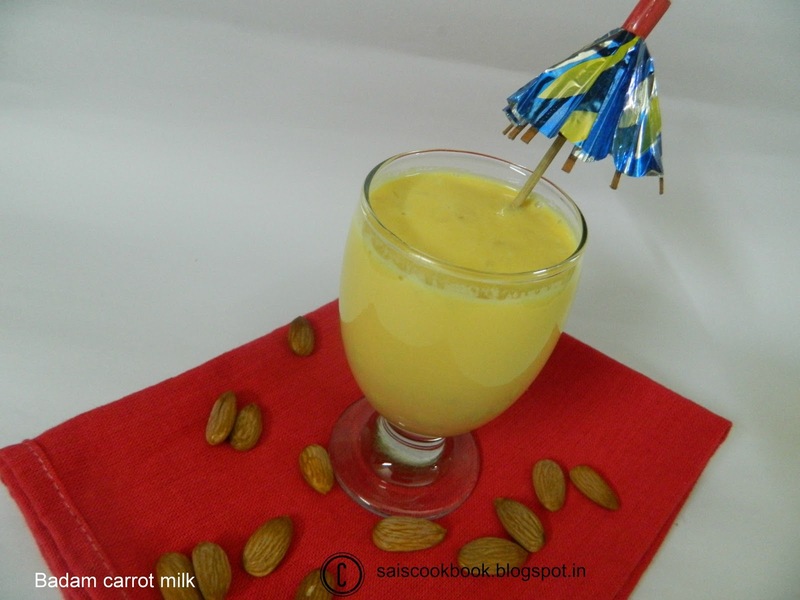 My all time concern is how to make my kids drink milk since they do not like milk in direct form.So milkshake is the best solution.This time I prepared Badam carrot milk since it is the best combo.Badam means almonds.I found this recipe in Divya’s blog which is one of my favourite blog.I can say the very first food blog I browsed 4-5 years back.Coming back to the recipe,this is one of the rich milkshake which is very good for health especially kids. 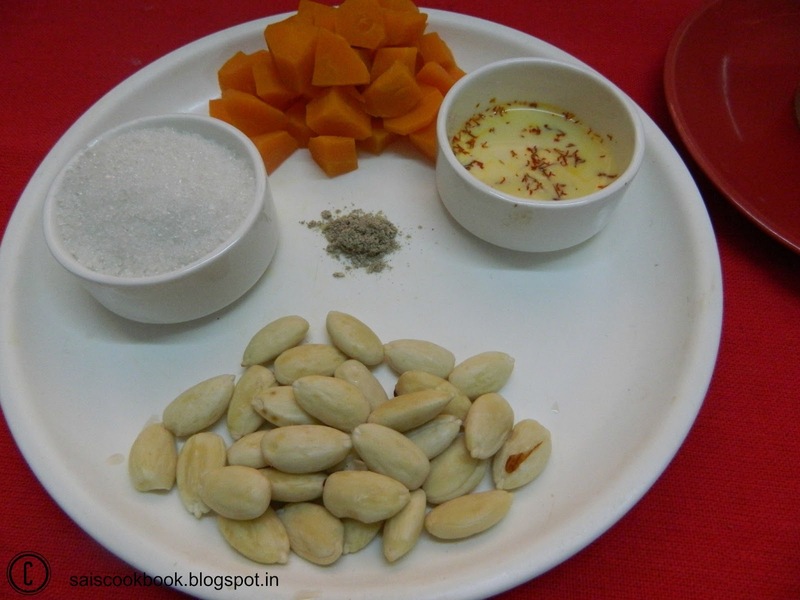 Cook the carrots in a pressure cooker till soft,add a few tsp of milk and blend into a smooth paste. 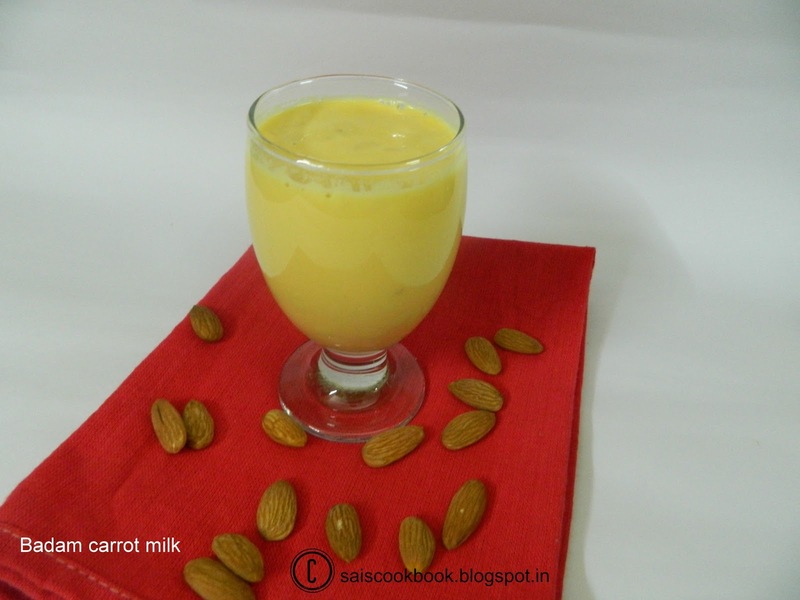 Boil the milk with sugar and add the nut and carrot pastes,let it cook for 5-7 minutes on slow heat to let the nuts cook.